Which is your favori Disney Park? What is your favori attraction/ event at a Disney Park and why? The Three Caballeros are characters which Disney seems to cherish somewhat. Although they don't do regular meeting and greeting, they do occasionally appear at the Mexico pavilion at Epcot and often feature in various parades and shows around the Disney parks. étoile, star Tours has been re imagined! And it works! The old étoile, star Tours was, to be frank, just that. OLD! I never used to like it, since it would make me motion sick. It felt like toi were in a big box that's moving and shaking toi around (which, well, it what it is) and not like a flight through space. Let's face it, the technology utilized in Mission: l’espace left étoile, star Tours in the dust, with wait times declining plus and more, and going up and up on other rides (coughToyStoryManiacough). The "new and improved" l’espace Mountain recently opened at Walt Disney World. Frankly, I don't see what the fuss is all about. The queue area is much improved. The games look cool. I only got to play for a minute because when I went, for once the line was impossibly short. That exceeded my expectations. I was expecting them to be like in Soarin’, which are no fun and totally pointless (but now we're getting off topic). fan art a été ajouté: 45 Years of Magic! 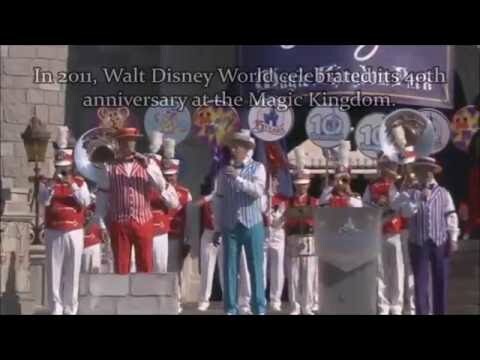 a video a été ajouté: Walt Disney World: 45 Magical Years! Which of the following attractions is not in Animal Kingdom?